So sometimes I like to buy those little pre-made cups of flan, because yeah, I'm too lazy to make my own. Well, one of them apparently exploded when it was hiding in my flex drawer of my Samsung refrigerator. I've left the little caramel mess for months, not knowing how to get rid of it. I couldn't even scratch it out! Well, I finally tackled the job. I removed the tray from the flex drawer and just looked at the messy caramel mess and considered different ways of cleaning it out. 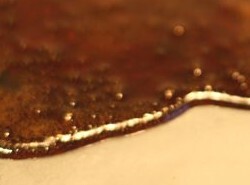 Finally, I decided to pour a little Goo-Gone onto it and I let it sit for 10 minutes. After that, I poured enough cold (not HOT) water to cover the stain, and let it sit 5 more minutes. 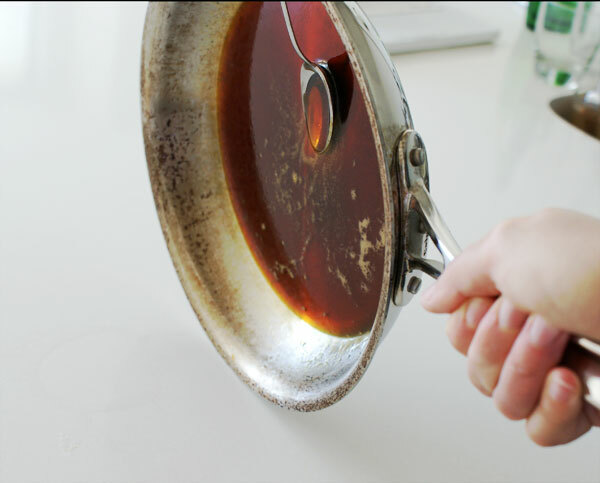 Using cold water is important: if you use hot water, it will just continue to 'cook' the caramel. Use cold water only. When I went back to check it out, I found that much of the sugar had dissolved in the cold water. It was a breeze cleaning it out -- I just scraped out most of it with my finger and then wiped the rest of it clean. Of course, I did end up spilling about a quart of water on the floor because I forgot that there were air holes on the bottom of the tray. Other than that, it was a success! 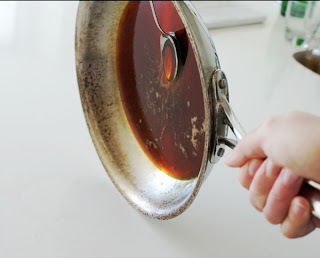 This method will also work for your bowls and pans that may be affected by burnt and/or hardened caramel! Good luck!